New – End Of The Year Treat – A Historic Jazz Treasure Found! Gutting a musical treasure of international importance? The Jazz on the Tube Radio Show? Jazz Birthdays: Marcus Miller, Cliff Edwards, Daryl Sherman, Kenny Drew Jr.
NEW – Can a piano absorb “vibes”? 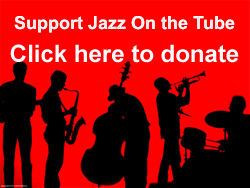 The last Jazz on the Tube podcast?